As with all good writers, Bri Carr’s inspiration has often grown out of tragedy and remembrance. Although Bri was raised in Letterkenny, her mother and grandmother were Arranmore women, and she says she feels a strong affinity with the island. Her aunts, Madge and Annie moved to the now 99-year-old Scoil Aphoirt when the family moved to the other side of Arranmore during the 1950s while they were only 9 or 10, and another song, ‘Where We Went To School’, is an exercise in imagining what it would have been like to change schools at that age. As Bri points out, the lyrics remind us of “the children we once knew, every family passing through, their echoes in the halls, their footsteps big and small, their voices, their faces we recall” and are a testament to the fact that happy memories of school and childhood stay with you forever, instilling a sense of gratitude to the teachers and friends who made school time so much more than just lessons and tests. At age 17, she also wrote ‘Yesterday’, the winner of the inaugural South of the Border Song Contest in 2018. “I wrote ‘Smile Again’ when I was seventeen after the death of my Uncle John, the song is more about hope instead of despair as he was so full of life. Music was an integral part of her early life. Many people will have fond memories of Barney and the Circle, and as she recalls, “I also played in Dad’s group, The Circle, when I was young and carefree, so the whole journey for me is reflected in the choice of songs – from the first song I wrote at 17 ‘Smile Again’, to this one ‘Where We Went to School’, which I wrote for the Centenary in 2016, the first summer I was brave enough to whip out the guitar in Arran! “I had begun piano, fiddle, whistle - all kinds of classical lessons in childhood, but was impatient as when I'd hear the tunes, I’d have to play them my way, not the way they were supposed to be played on paper. “So my dad, Barney McDaid, finally brought me to Paddy Cleary for piano lessons at age 11, I never looked back. I wrote my first melody for Paddy at that age, and began writing skits in rhyme for occasions, sessions, classes etc. “I released my first proper album in Glenveagh Castle in February 2017, ‘Full Circle/Rotha an tSaoil’, to invited family and friends. “I recorded 'ArainnMhóir' and 'My Father's Legacy' - both songs reaching No. 3 and No. 2 respectively in the Irish iTunes charts in Nov of that year. “I love writing scripts and plays, musicals in particular, and was choreographer for the first three Letterkenny pantomimes after its revival in the 90s, choreographer of Loreto Milford and Loreto Letterkenny /St Eunans College, from Grease in the early 90s to Mamma Mia in 2017, Mulroy College’s ‘Hairspray’ and annual concerts. “I was writer and director of numerous Blue Ribbon pantomimes and musicals from ‘A Whole New World’, ‘Shrek’, ‘High School Musical’ up to this year’s ‘There’s no Place Like Home’ (Wizard of Oz). “I was in the Letterkenny Musical Society, Letterkenny Music and Drama Group and Letterkenny Gaels productions - usually comedy roles funnily enough! “I was lucky enough to win the PanCeltic twice, with songs about my native county, and my mum’s home place, Arranmore. “I had the best childhood, growing up amid music, Irish, community spirit and lately, although all these are still extremely vital to me, I have a very supportive husband, and two incredibly funny, warm children, who keep me always looking at the bright side of life. 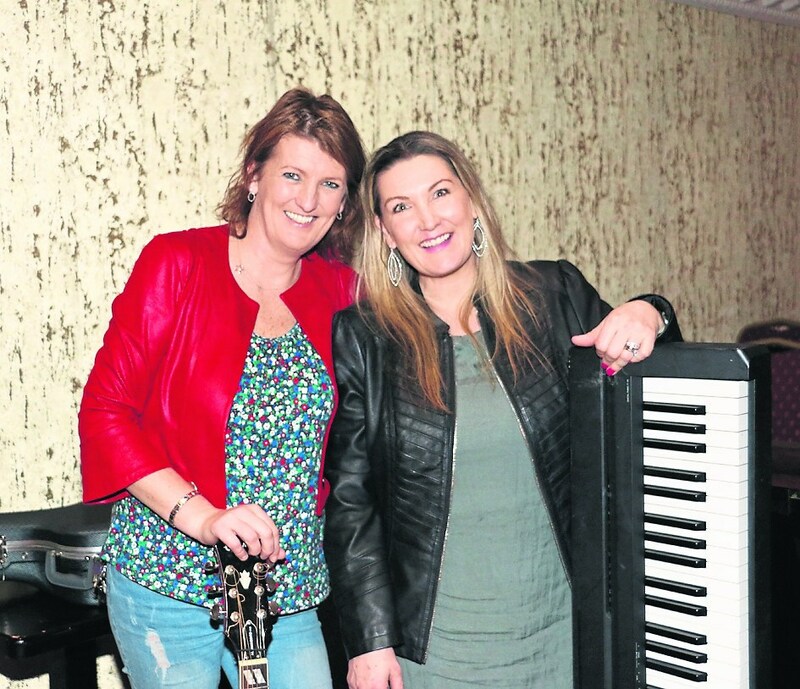 She is a job-sharing resource teacher at Lurgybrack National School in Letterkenny, and teaches guitar, keyboards, fiddle and tin whistle after school. Blue Ribbon was established by her almost 20 years ago, and has brought ceol and craic to the lives of hundreds of children throughout the years. The name Blue Ribbon is a tribute to one of Bri’s students, Nicki Taylor, who sadly passed away after an accident in 1997. Keeping it in the family, at just eight years old, Caela Carr is already following in her mother’s musical footsteps by playing the harp and I heard her sing an amazing version of ‘Shallow’ with young Ethan Barron at this year’s South of the Border Festival in Ardara. It’s been a momentous journey, and appropriately, her album title is ‘Full Circle/Rotha an tSaoil’. From Barney to Barr an Domhain...this circle remains unbroken!